Click the image to purchase the collection from Caliroots. Big Sean and Puma came togehter to produce a 50th Anniversary Suede sneaker and not long after they unveiled The Puma x Big Sean Spring/Summer 18 Collection, which is arguably a very strong debut from Big Sean to streetwear. 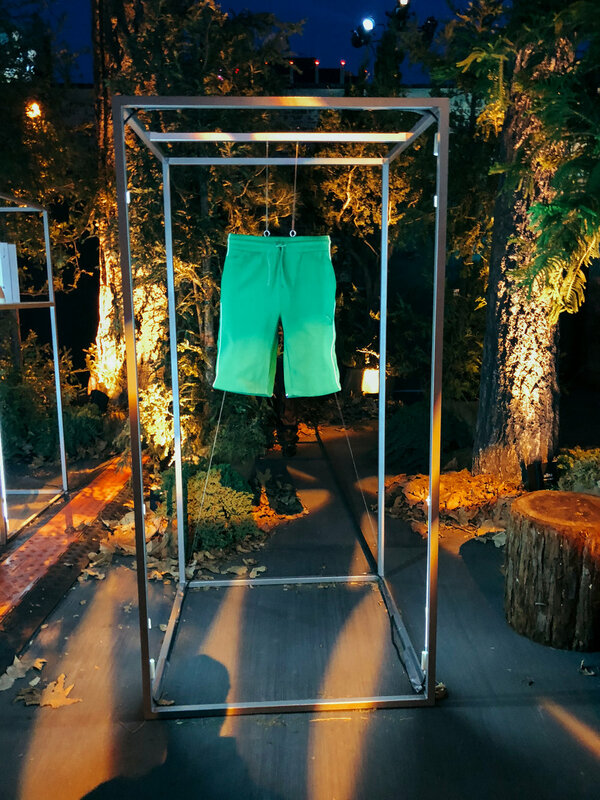 Hypend was invited to the exclusive pre-launch event in Hollywood, Los Angeles on March 19th. 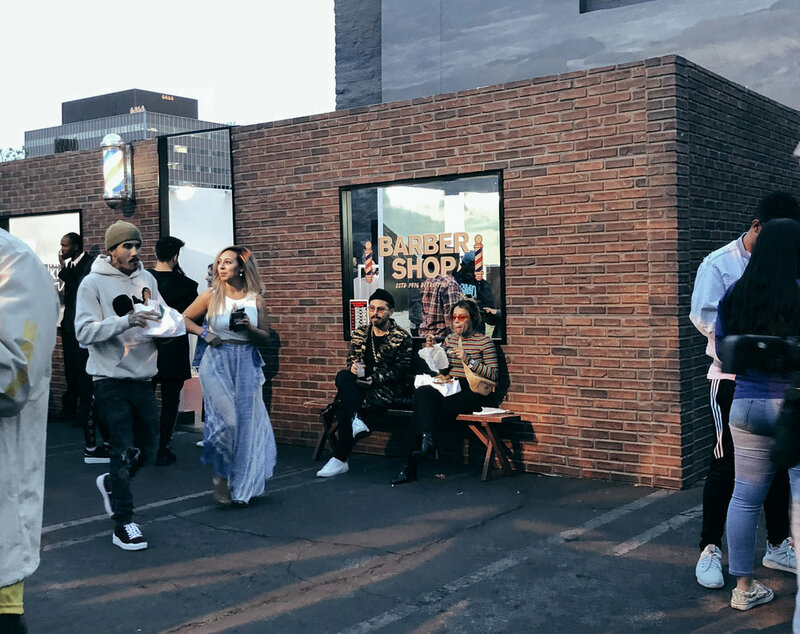 The event consisted of pop-up shops, food trucks, gallery spaces, pop-up barber shop, open bar, and a 30-minute set from the man of the hour. 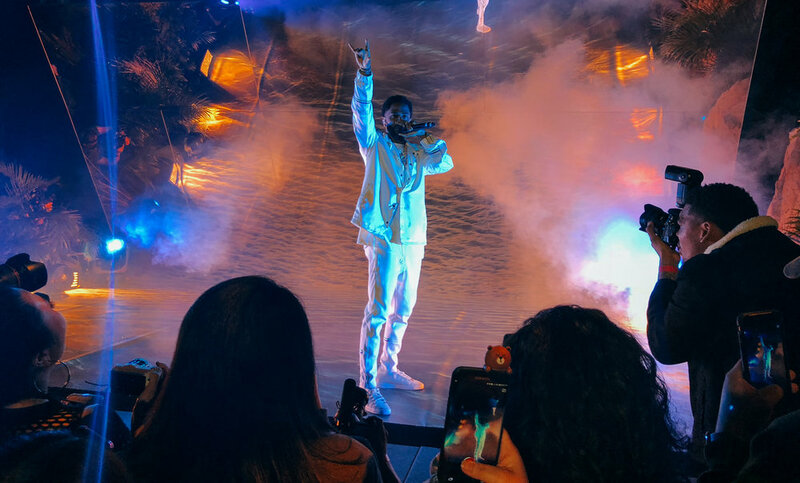 Puma and Big Sean describe the clothing line as “luxury meets classic, Detroit style.” The Spring/Summer 2018 collection is a “street luxe” take on timeless, casual staples like hoodies, T-shirts and sweatpants. 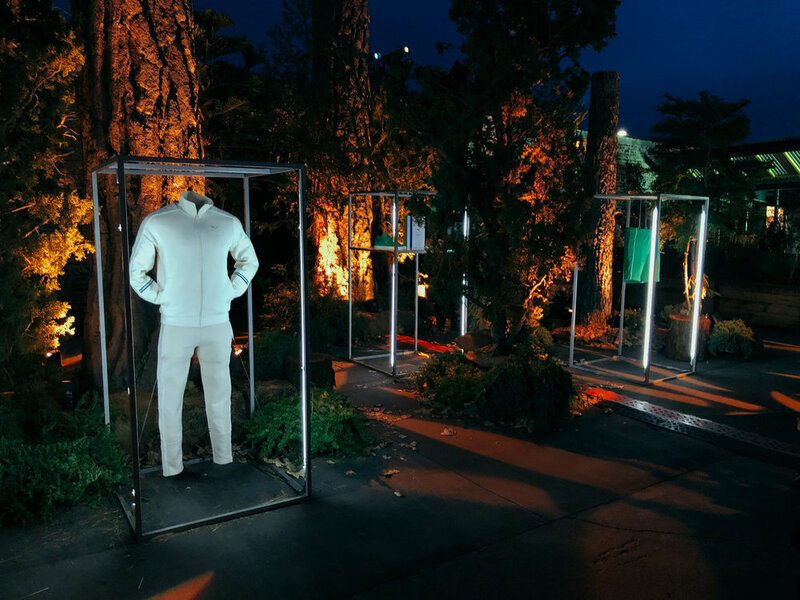 More specifically, "A new Detroit-inspired take on the T7 Track Jacket can be seen, a coach jacket, and a branded hoodie are among some of the stand out items in the bunch." For their upcoming sneaker you can find a reimagined mid-cut iteration with a chunky, thick midsole, with PUMA ‘D’ branding on the tongue and the Big Sean’s signature in the outer side panel. Make sure to check out our photos of the event below. To pick up some of the items for yourself, you can expect to find the Puma x Big Sean SS18 collection on the shelves of selected retailers starting March 21. Click the image below for more info.